For engines with monster cubic inches or compression ratios, these 100% NEW starters challenge the specifications, durability, and reliability of anything on the market. 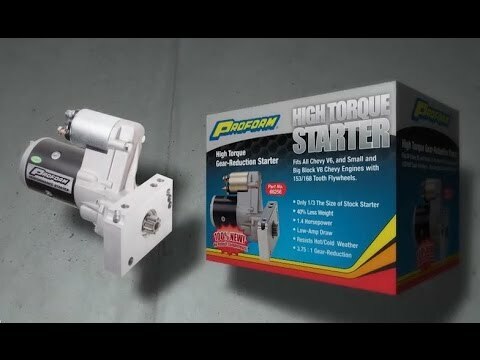 Built from scratch with all-new components, the torque rating is a healthy 4.41:1 gear reduction, capable of cranking engines up to a whopping 18:1 compression. Comes in the NEW Race Box Packaging! Fits Chevy small and big block engines. Fits Chevy Small Block and Big Block V8 Engines, as well as most V6 Engines. For engines with monster cubic inches or compression ratios, these 100% NEW starters challenge the specifications, durability, and reliability of anything on the market.